Silly anecdote, but what's the impact on marketing, you're asking? Because asking for directions is one of the best ways to learn how someone interprets information. And with GPS, that's become too silly a question to ask. Are you familiar with learning modalities? (Here's a wikipedia article on the topic - one of the most abstruse areas of marketing consulting!) The premise of the concept is that people process, absorb and retain information differently according to their predilections and how it's presented. For instance, to put it in the marketing context, someone who's visual will prefer to review an infographic as opposed to someone who's auditory who will default to information presented in a series of data embedded in a whitepaper. One can make some very imperfect assumptions about learning styles based on professional role. CFOs, for instance, are often auditory learners. HR professionals, though, are likely kinesthetic, and technicians are probably visual. Language is a great way to measure more specifically. Ask someone for an opinion and you'll notice some say "it feels like", others "the way I see it", and some "sounds to me like." Here's your quiz - which is which? 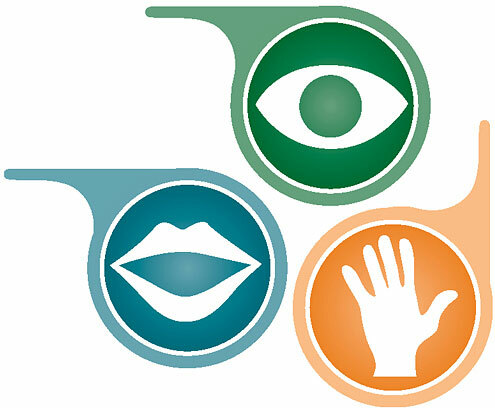 No marketing consulting background required there - it's about touch, sight and hearing. Simple. But that's where directions come in. It's awesome to listen to someone give directions. Do they say "drive 1.2 miles, turn left at Main street, progress .23 miles and pull into the 2nd entrance" or "after you pass Dairy Queen keep an eye out for the green house with the big tree in front. You want to take the 2nd left after that, and if you see the field and pond you went too far"? And how's this relevant to your B2B marketing? The key to content marketing is to ensure that your content is valuable and resonates with your persona. It's not infallible, but it's possible to identify some correlation between personas, job roles and learning style. And that can provide powerful insight into the types of content to create and the channels to use to reach them. For instance videos and infographics may be great forms of 'attract' content for visual learners, while calculators could be effective 'consideration' content for auditory learners. Are any of these hard and fast rules? Of course not. There are auditory designers and visual accountants...but there are also laws of nature. And consider the words you use in your written offers - "looks like", "feels like" & "sounds like" (or "ties into our vision", "it's going to hurt", or "that's not the way our partners will hear it.") will resonate differently depending on your readers' preferences. So is this an entry level refinement for content marketing? Of course not. But the role of great marketing consulting is to help clients really move the needle, and details such as this can be incredibly effective in supporting the creation and targeting of content that works. Intrigued by complexity? Check out our whitepaper on how to embrace complexity to make your B2B marketing better! Help us collect some data. We've listed common B2B marketing personas below - you tell us what you think they are based on your experience.